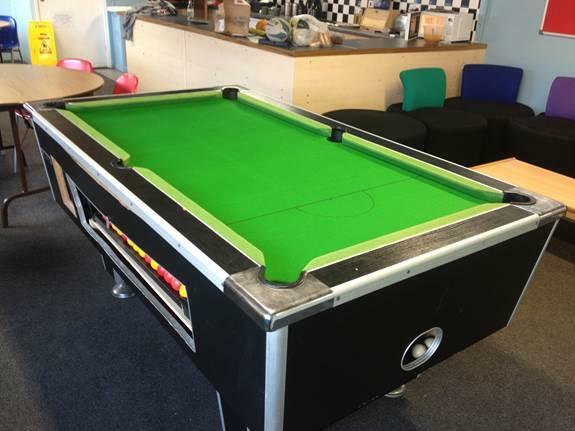 The youth club in Prestatyn needed the slate recovering, we did this for them on site, and replaced the cloth with a Hainsworth Club-Greencloth. 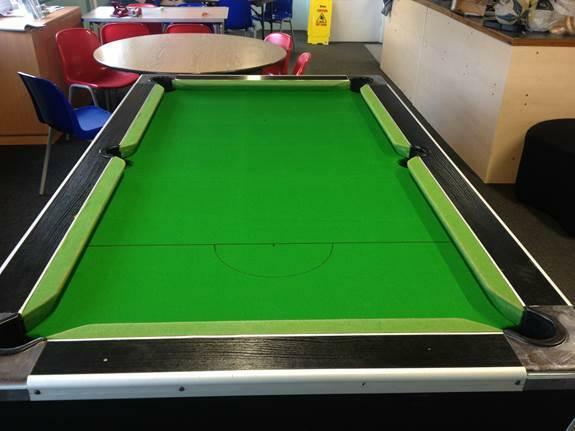 As you can see from the before and after photos, the end result was a massive improvement on the faded worn cloth. We did not re-cloth the cushions and you can see that from the after shot.